Okay, I probably should have titled this "Let's Talk About My Camera". I really can't comment a lot on other cameras, as I've been using the same model for many years. Once upon a time (a LONG time ago), I had aspirations of being a professional photographer. I bought lots of books and spent a short time apprenticing under a talented photographer. I thought it was something I really wanted to do. I shot many weddings and families and eventually decided that shooting for fun was more for me. I would get way too stressed when wedding time approached, terrified that I would miss someone's special moment. Oh yeah... and then there was that one time I somehow misplaced my CF card after I shot a wedding. I eventually found it, but that is something I don't want to revisit. Like, ever. Now to the camera part. I bought a (used) Canon 20D because of a recommendation from the photographer I was apprenticing under, and shot with it for years. If you are a youngster (you know, younger than me) you may not even know these ever existed. It's been a while. Anyway, my trusty sidekick eventually just stopped working, and my oh-so thoughtful husband found me ANOTHER used one. Guys, I have seriously been using this model for what seems like forever. I tell you this because I get a lot of emails asking what kind of camera equipment I use, and sharing is caring. It doesn't take a lot of money to get crisp/high quality photos-- the initial investment can sting, but my camera is something I use almost everyday and have been for years. I do have a very nice lens that I use: a Canon 17-55mm f/2.8 the majority of the time, but for most of my Snapshots posts and anything that isn't an outfit post or at my home, I just use the stock lens it came with. I'm finally upgrading! This week I have a Canon 60D on its way, as well as a 35mm lens! It wasn't a suuuuper hard sell, but I know Johnny was thinking, "You have a camera that works just fine." Sometimes a girl needs to add a little fancy to her rig. Really though, I'm excited for a nice, light(er)weight lens that allows me to carry my camera in my purse a lot more... OH! And the video capabilities... 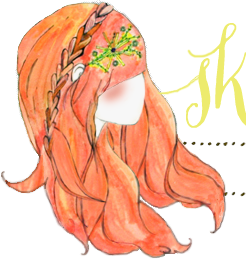 I'm totally excited to try my hand at making pretty videos! I'll also be investing in a 50mm lens a little down the road. I use the 35mm at work (at ABM) a lot and know that I love it, so that one gets to be first. I know this question may also come up, so I will just say that I DO use Photoshop. I truly believe it is worth the money. So, if you are on the fence about that, you have my two cents. Thanks for letting me ramble about my camera. I seriously can't wait for the new one to arrive. I haven't bought a BRAND NEW camera since the first generation Rebel DSLRs, so it's going to feel like Christmas and Birthday all rolled up into one! so exciting! the 60D is on my wishlist for a one day upgrade :). yay for new cameras! I'm a canon girl, and I adore my 5D *aspirations of going pro here..eventually*. What a fun camera post! Exciting stuff! I'm a beginner and I was bought the 1100D for my birthday. may I ask what version of photoshop you use? I was looking. At elements 11 do you know if it's any good? Oh :) I just bought the 60D last week! And I love it.. Can´t wait for the sun to come out..
And thanks for the recommendations on lenses. Now the 35mm is on my wishlist for this Year. 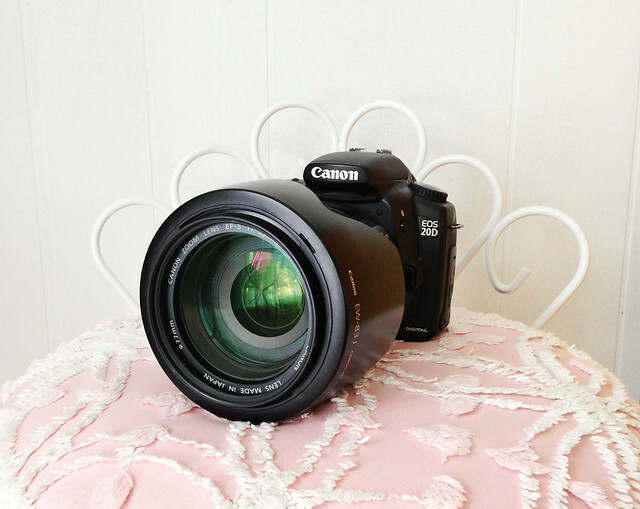 My husband and I have been making videos with our Canons for years and absolutely love it! It seriously makes things just so much easier and the video quality is completely on par with actual video cameras. If you are at all interested here is a little cooking video we made the other day. Cannot wait to see what you come up with! Besides a new couch I'm trying to save up for a good camera. I have one of those small point & shoot Canon cameras and it is just not cutting it. I will definitely take your experienced words to heart! So exciting! I just purchased my first DSLR (Canon), and am in LOVE with it though I know it won't be long until I'm wanting to upgrade (this time around I needed too many accessories to spring for a better model). Getting my first prime lens soon too! Enjoy your new gear- I've heard great things about that model! And thanks for sharing about the lenses too! That's awesome! Cameras are always such a great present to get! Can't wait to see your videos! Thanks for the input on Photoshop-I always hate spending money on software like that, but hey, if it's worth it! What made you decide to go with the 60D instead of a different model? I'm currently using the Rebel XTi (another one that is no longer out there) and I was just curious what other models you considered and your method for choosing. Can't wait to see pictures from the new camera!! Just got photoshop on my computer an hour ago-no idea how to use it but I'm excited anyway! What camera do you suggest for someone just starting out? Thanks for the post, I've recently gotten into photography and bought myself a canon 600D, I love it, can't wait to get more lenses and upgrade! I still have my 20D as my backup camera. Can't bear to part with it because they go so cheap, and it's still an AWESOME camera! :) Congrats on your upgrade...new cameras are SO MUCH FUN!! It is a good camera and you're right, they really don't bring any money. I'll be keeping mine, too-- it seems sad to part with such a trusty old friend. I use a 60D w/ a 50mm (usually) and I love it! I keep telling myself that I want to take advantage of the video more, but I'm a little scared to tell you the truth! :o) I'm surprised you only use a 20D. Your photos are first class. I've very intimidated by the video, too! I'm hoping I can just dive right in and learn through trial and error. I just recently go the 60d and the 50mm 1.4 upgrade and I am in love. It's on my camera all the time. Great choices!